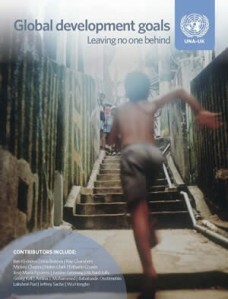 Global development goals: Leaving no one behind analyses the context in which the MDGs were developed, assesses progress to date, offers expert views on achieving the 2015 targets, and provides insights into the creation of the post-2015 development agenda. 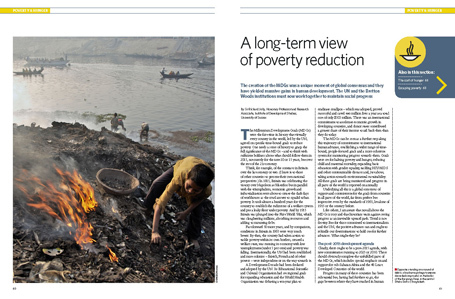 The publication’s objective is to raise awareness of the MDGs, and to encourage wider involvement in achieving them and in charting the course for international development over the next decade. The publication is edited by Natalie Samarasinghe, with articles from leading authorities, including Ban Ki-moon, Helen Clark, Jeffrey Sachs, Justine Greening, Georg Kell and Ertharin Cousin.